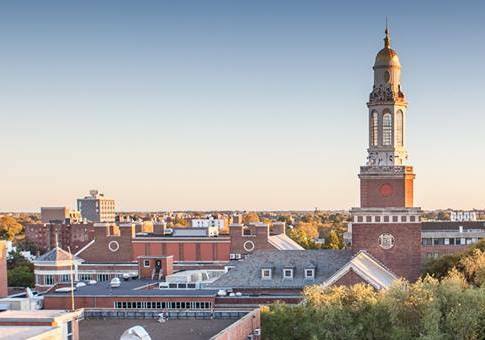 Brooklyn College in New York City has directed police officers who need a bathroom break to use the broken-down facilities in a building on the far edge of campus. With a petition in the works to ban cops from the taxpayer-funded campus, the school's director of public safety, Donald Wenz, told the student newspaper the Excelsior that he is pushing to keep law enforcement out of sight, the New York Post reported Sunday night. Wenz said that all of the school's restrooms are still open to police officers, but the college prefers that they stick to using those in the isolated West End Building, or WEB, "rather than walking across either quad to use the bathroom." The Post visited the first-floor men's room in the WEB and found a broken toilet with a stained seat and an out of order sign taped to the door of the stall. The newspaper staff also found a lack of soap and paper towels. A junior at the college who identified himself as Abe said the bathroom is very far away and the worst place to go on campus. "The bathroom is horrendous," Abe said. "You can only wash your hands in one of the sinks because the other two are broken." The Excelsior reported that an unidentified student is drafting a petition to college President Michelle Anderson to completely exile police. The student wants Anderson to make it clear "that we do not want the NYPD on campus in any respect even if it's just to take breaks and use the bathroom," he told the school paper. Many students agree with the idea, with one senior explaining that "people get triggered" by cops. "I know students from every background and across every major," one student said. "They don't feel comfortable around cops. They just don't. It makes safe spaces feel not so safe." NYPD sergeants-union chief Ed Mullins suggested an idea for students who want to ban cops from campus. "Maybe it's time these students, who fail to recognize the value of those protecting them, go take classes abroad—where they can have their bathrooms all to themselves," he said. Wenz said that if people see police walking across the quad, some could interpret it as an active emergency taking place. "Brooklyn College offers the use of our facilities to the NYPD and other public servants … as a courtesy," a college spokesperson told the Post. This entry was posted in Issues and tagged College Campuses, New York City, Police, University. Bookmark the permalink.